Home › Football › Does Empathy Score in Football? Does Empathy Score in Football? When you need to perform, emotions either help you, or they throw a spanner in the works. Just ask Arjen Robben who missed a penalty in the final of the Champions League in May. Dr. Gert-Jan Pepping, a researcher at the Australian Catholic University in Brisbane Australia, explores how emotions influence our perceptions and actions. How relevant is empathy in sport? A pre-match huddle of the Ireland team in their game against Spain during Euro 2012. By Margriet Bos. For the whole article (in Dutch) click here. What is your research about? Why is prosocial behavior important for an athlete? “It allows the athlete to predict what a teammate or opponent will do. We know the effects of positive emotions pretty well in a context where creativity is required. When people experience positive emotions, this broadens their attention so they see more creative solutions to a problem. 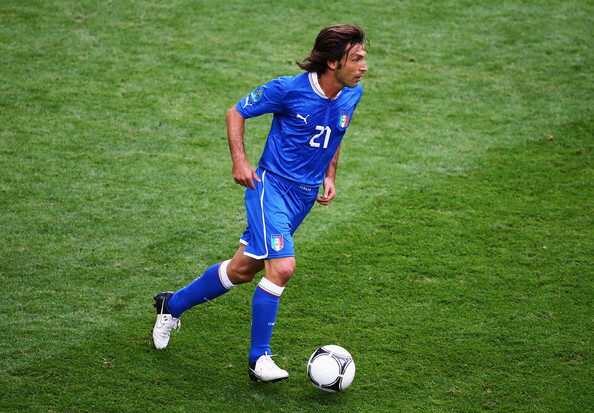 Pirlo looking for creative action possibilities in the Euro 2012 match Italy vs Croatia. Is someone simply prosocial or can you influence it? 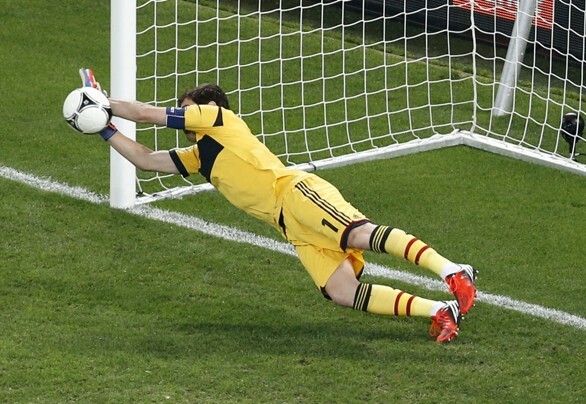 Cassilas at Euro 2012 saves a penalty in the shootout between Spain vs Portugal. Have you already seen that it works? But aren’t football players known for their big egos? Will other areas outside sport benefit from this research? Gert-Jan Pepping is a consultant, researcher, and senior lecturer in Psychology of Human Movement and Sport at the School of Exercise Sciences of ACU, Brisbane.